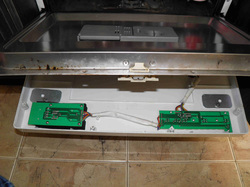 It is very important to make sure the dishwasher remains unplugged during all the operation to avoid risk of electrocution. 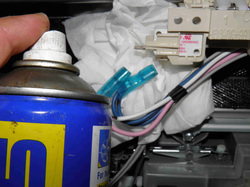 The below intervention can be done with the only use of a Philips screwdriver available at any home. 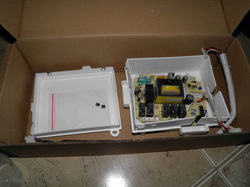 The 20$ amount shown is for the eventual purchase of a small multi-meter sold at any DIY stand of a major supermarket. 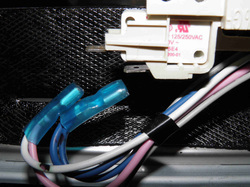 The search for replacement parts can be difficult and time consuming. 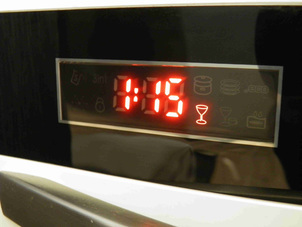 1- The program selection in this dishwasher remains stuck at the 2:50 min cycle which starts upon turning it on. 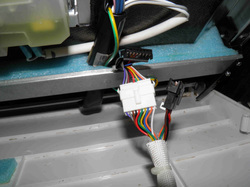 4- Unplug the harnesses to free completely the white panel. 7- Unplug its connecting wires and check these were well connected. Remove the switch from its support. 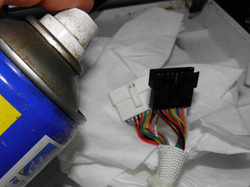 10- Spray a little of WD40 on the contacts prior to reconnecting the wires. 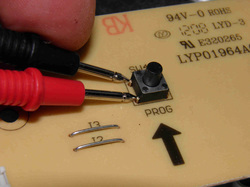 Jump to step 14 if you do not have a multi-meter. 13- Test them one by one with a multi-meter. Operate each at least 10 times. 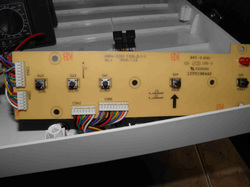 16- Replace the control panel boards and make sure small gaskets like the one of this LED are well in place. 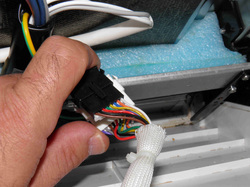 19- Reconnect the harnesses and make sure these “click” when engaged. 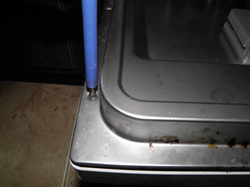 2- Unplug it and unscrew the internal stainless steel cover of the door. 5- The white panel can now be moved completely out. 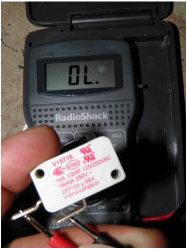 8- Test it 10 times with a multi-meter or by checking if it “clicks” when pushing the small button. 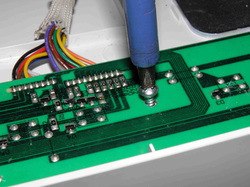 11- Now unscrew the board that faces the buttons you press on the panel, and not the one with a display. 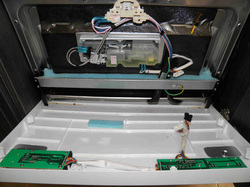 14- Assuming no switch appeared to be defective, you now need to get a new set of electronic boards for your dishwasher. 17- You just refurbished your control panel and are now ready to re-assemble the dishwasher door. 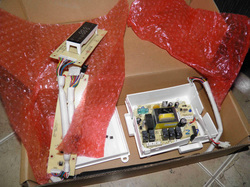 20- Keep the power supply in the original box as a spare in case it fails. 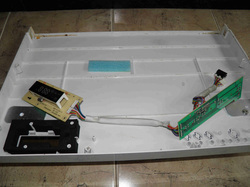 3- The stainless steel cover and the outer white part of the door can now be separated. 6- Look first at the door switch. 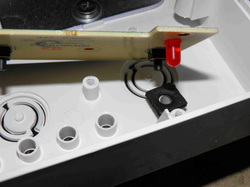 A malfunction of this switch could block the dishwasher panel. 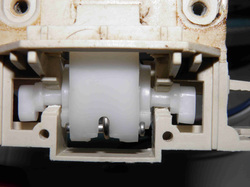 9- Inspect the cam that presses the button on the switch and check it is not broken. 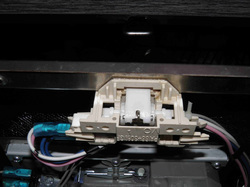 You can shift the switch to the opposite cam. 12- Return it to show the micro push buttons. 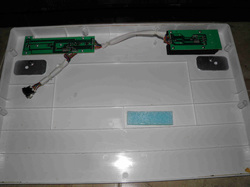 15- The set includes the boards on the control panel + the power supply, not needed in this case because the unit turns On. 18- Spray a little WD40 on the plugs prior to reconnecting them. Avoid any excess of oil and place a tissue behind. 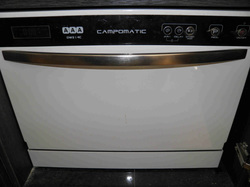 21- Test your dishwasher which should now change programs as per your selection.